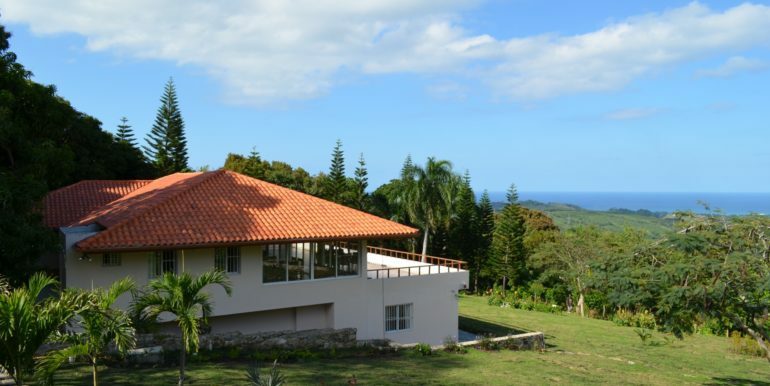 The best contemporary homes are known for their transparent nature, and a sense of symbiosis with the natural surroundings. 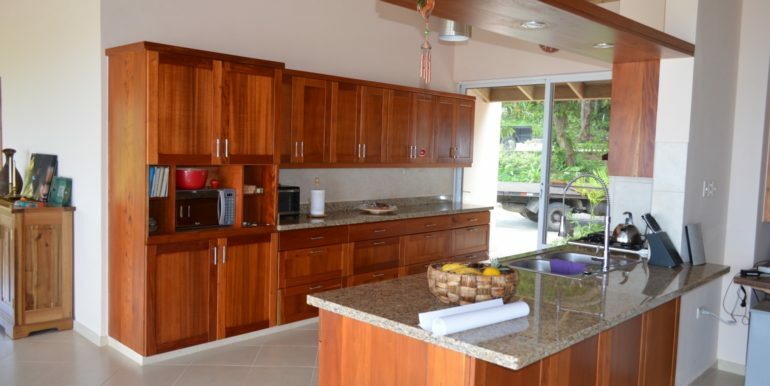 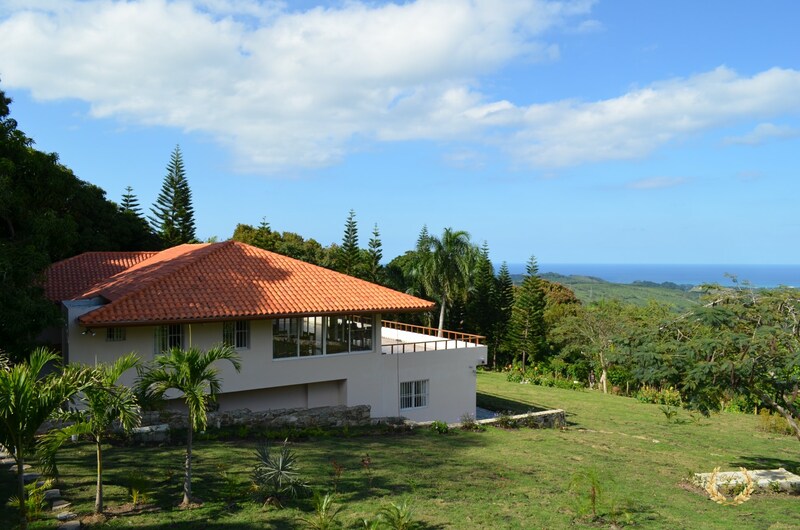 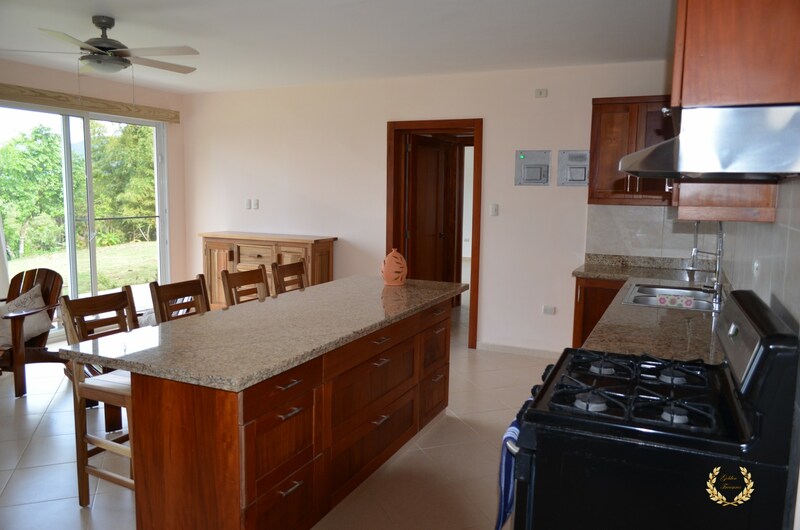 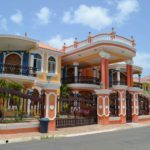 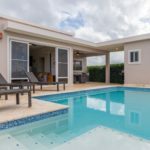 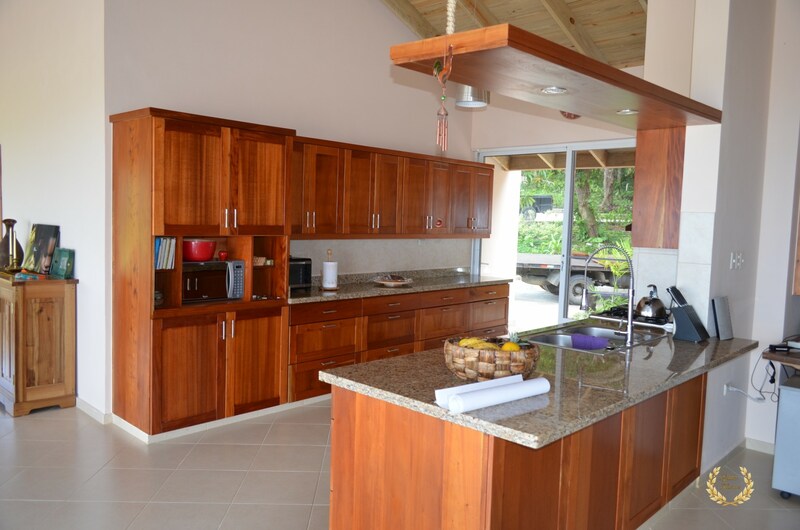 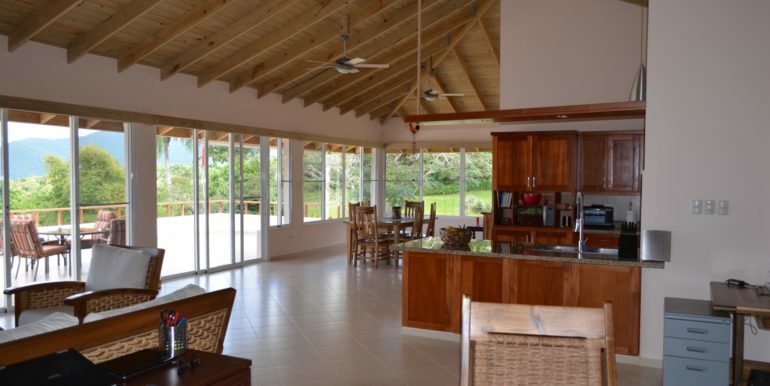 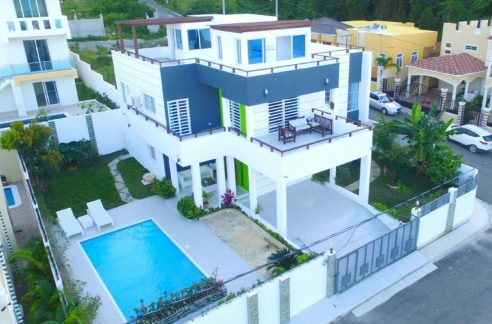 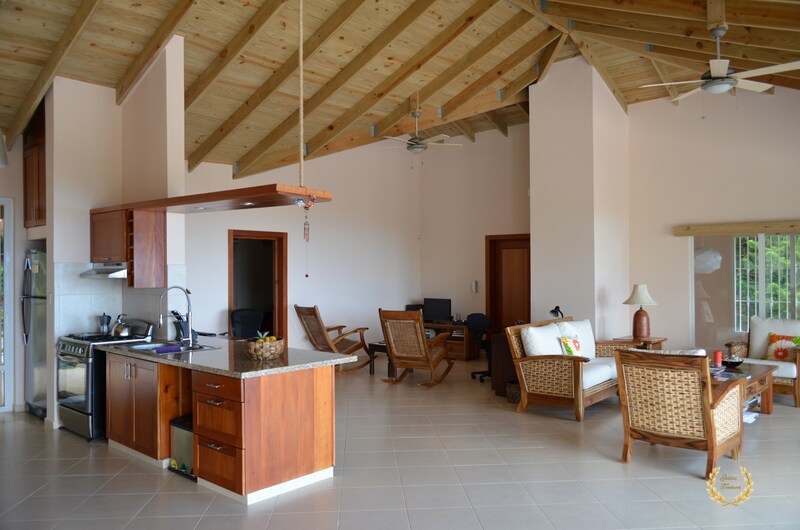 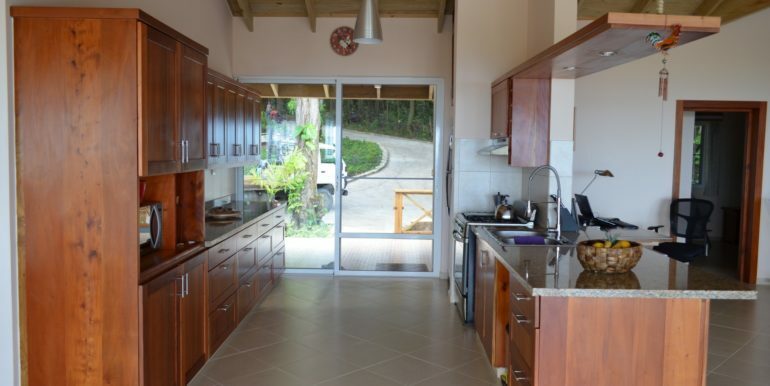 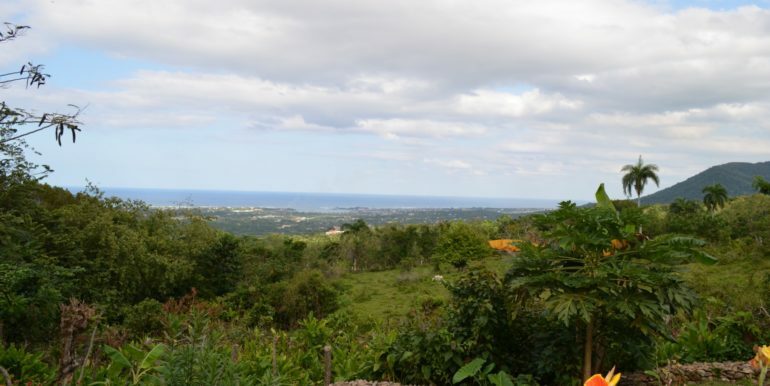 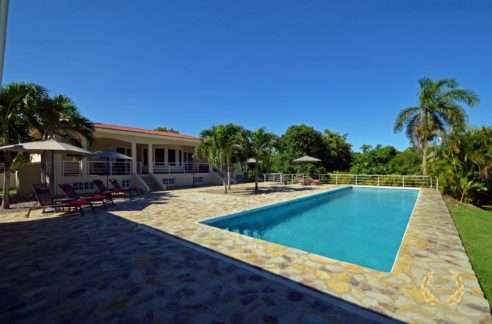 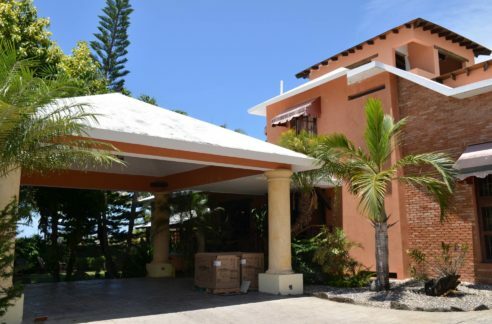 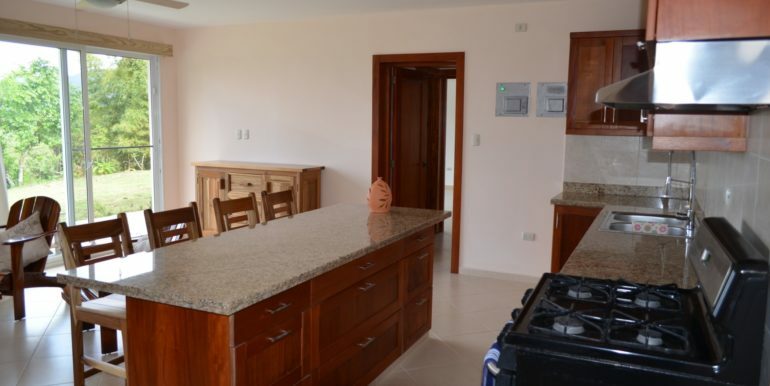 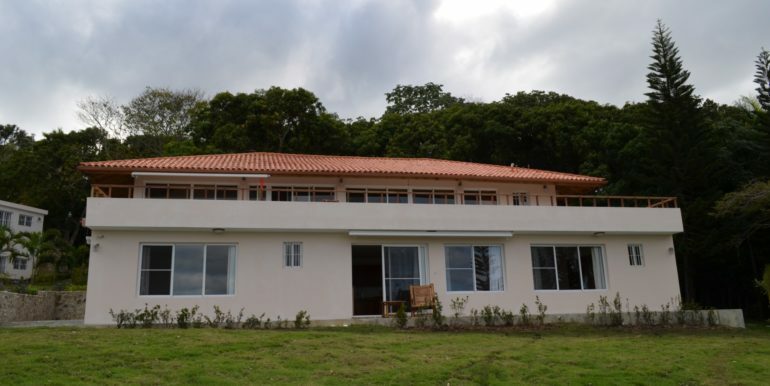 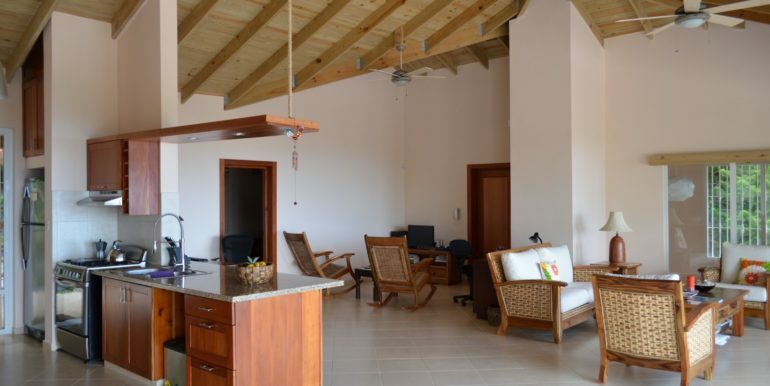 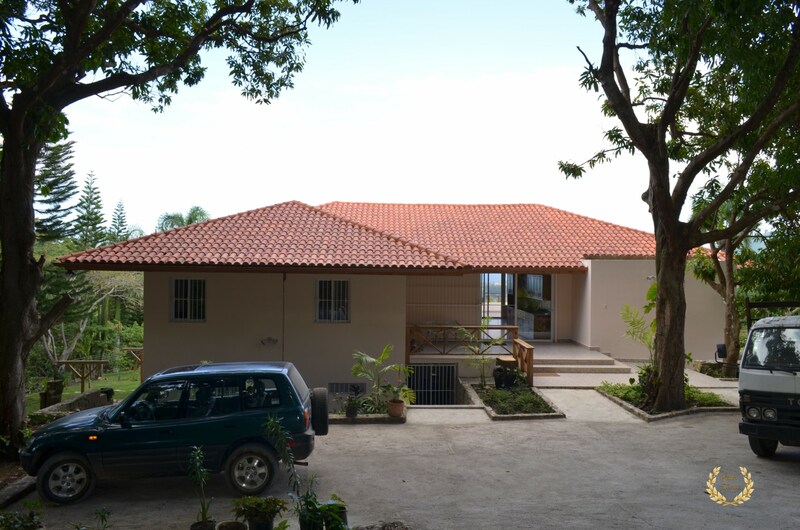 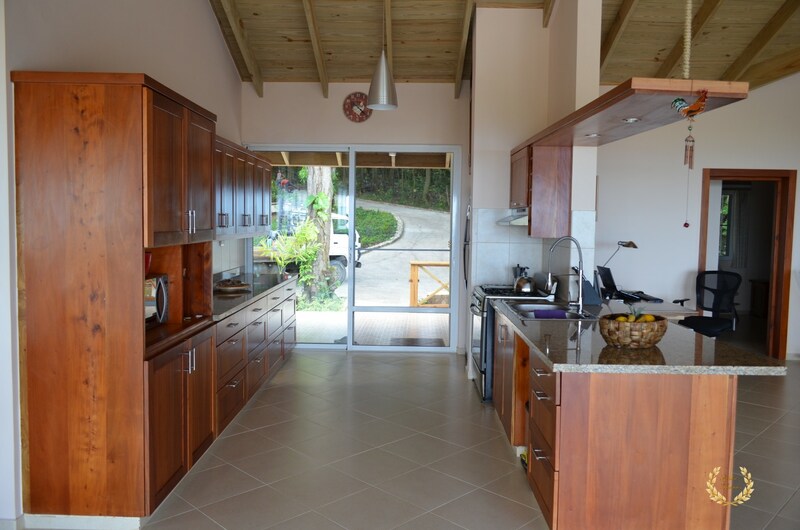 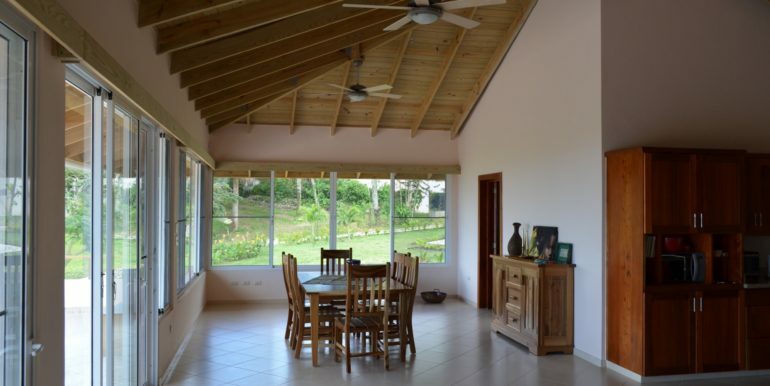 Perched atop a mountain with stunning ocean and green vistas, this fantastic 4 bedroom, 4 bathroom home is the perfect country side retreat just 20 minutes to Puerto Plata city centre. 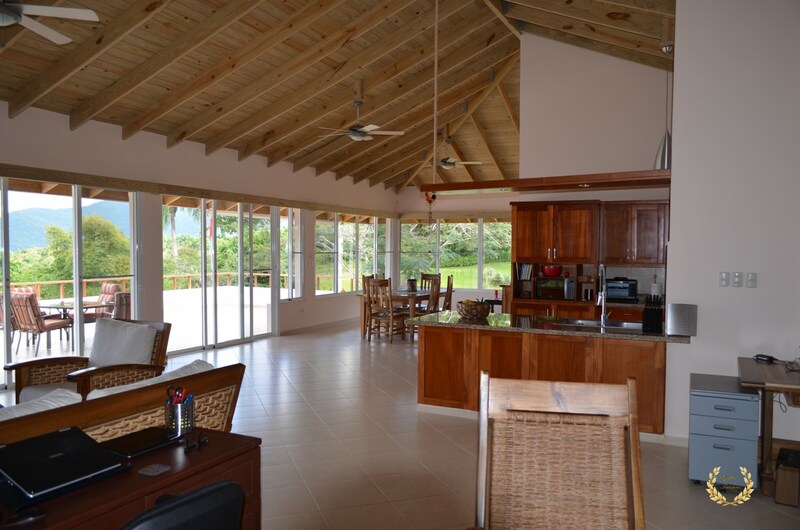 Dutch by design and construction, the house has a rather large main living room with tall wooden ceilings, its 160-degree ceiling-to-floor windows bringing in the blue ocean and green mountain vistas. 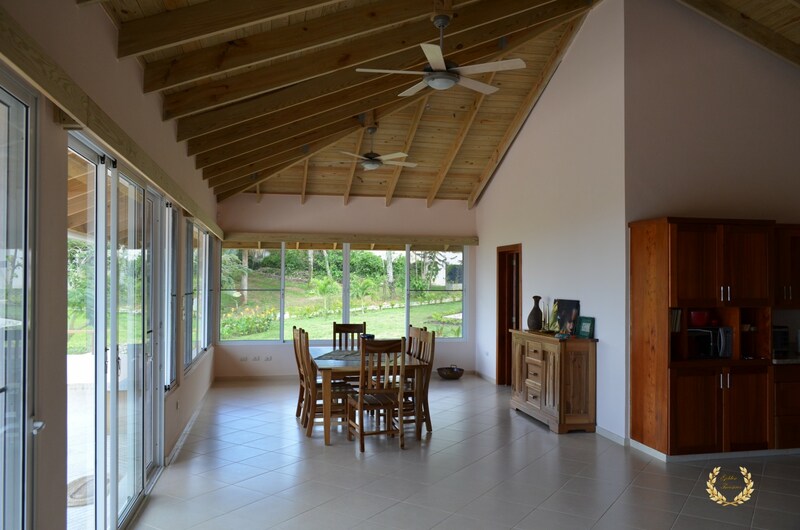 A spacious second floor terrace lends itself to great family moments, with alfresco dining or breakfast a common occurrence while the swallows playfully fly around the house and pine trees. An open style European kitchen built with fine mahogany and granite tops sits near the entrance of the ample living room, and offers incredible views of the ocean from its privileged position. 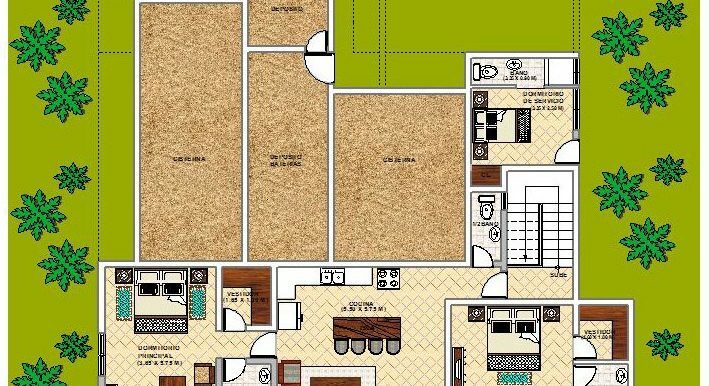 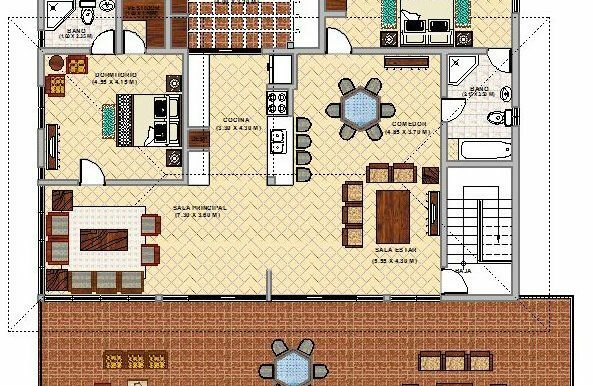 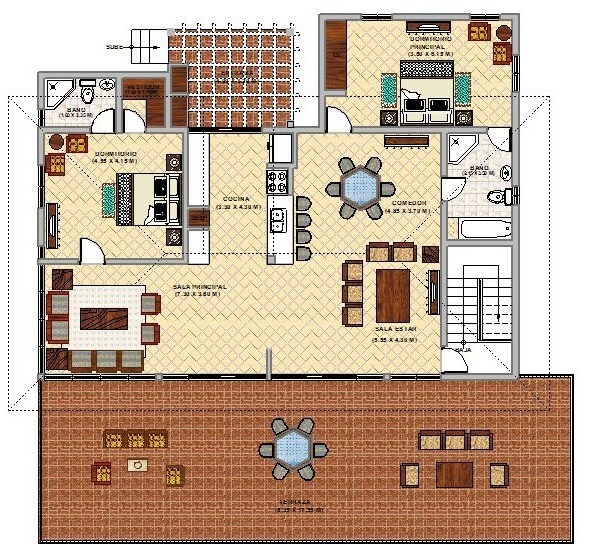 There’s 2 bedrooms in the upper floor and 2 in the apartment at the lower level (with full kitchen and living room, more like a guest house). 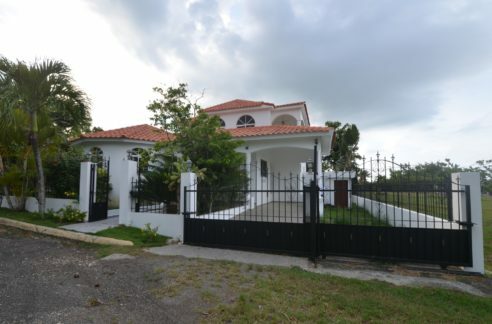 The property could be used as two homes with private access for each. 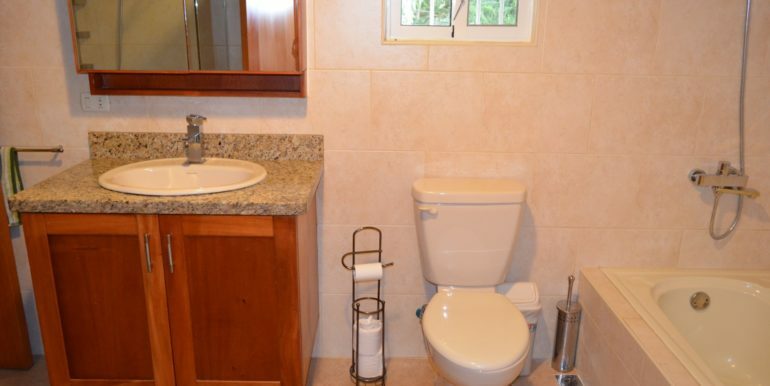 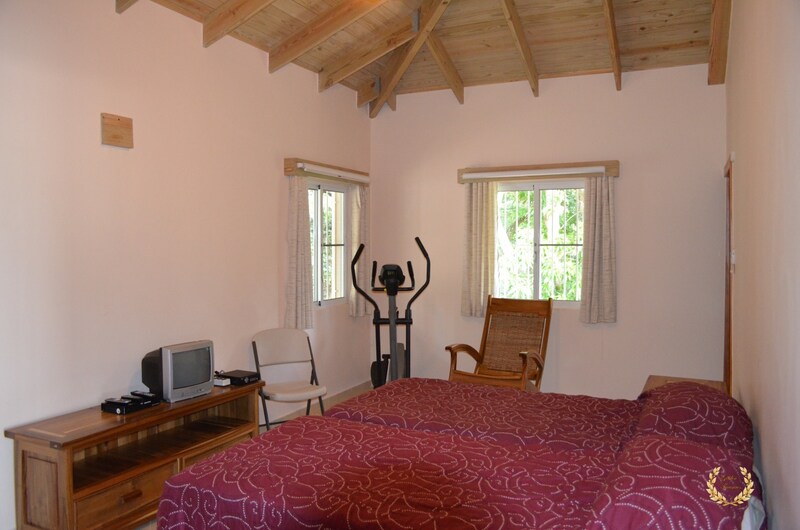 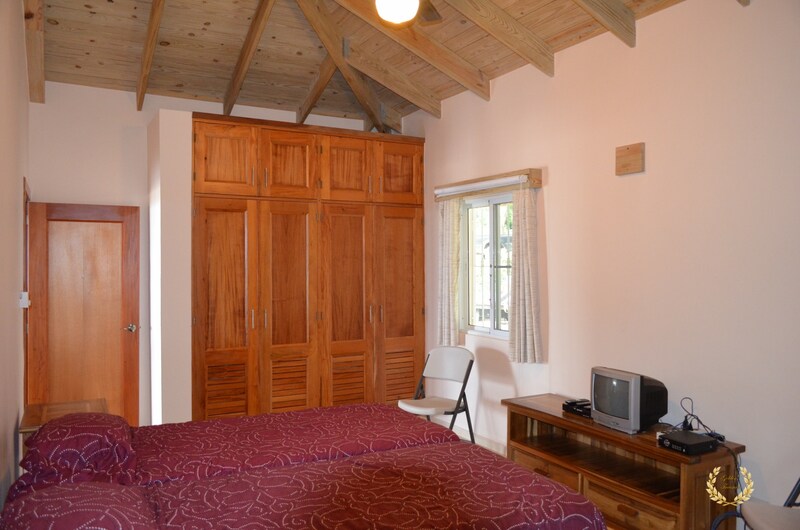 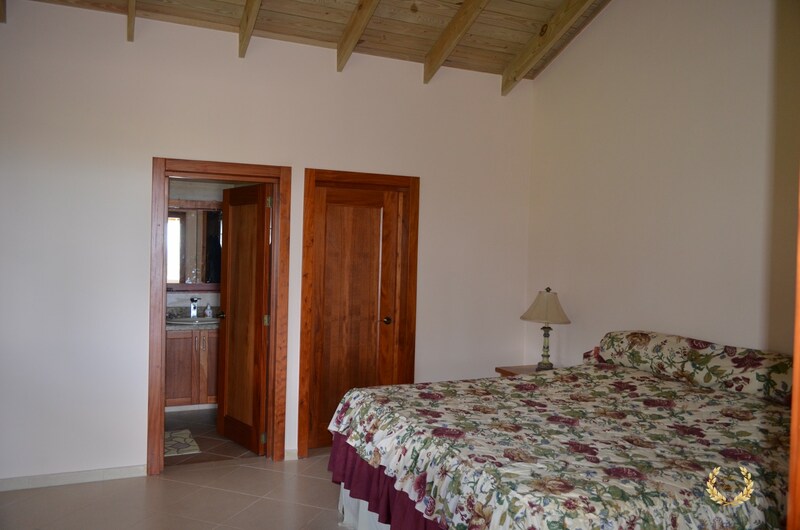 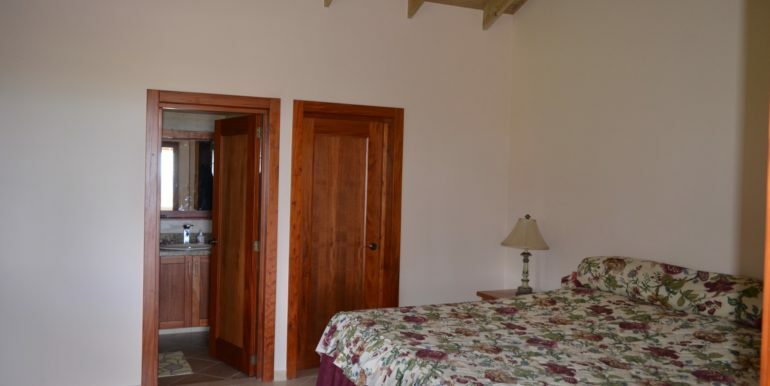 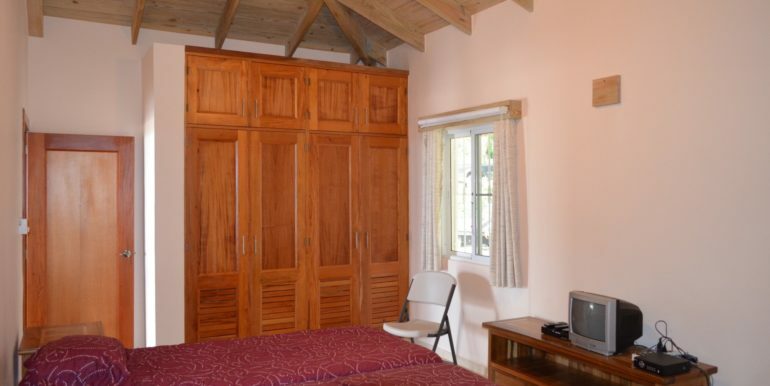 The property also has the maid’s room with bathroom. 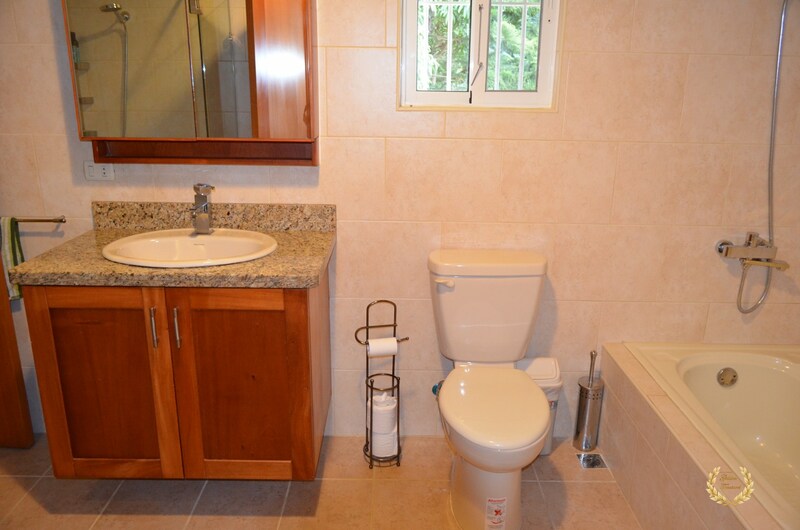 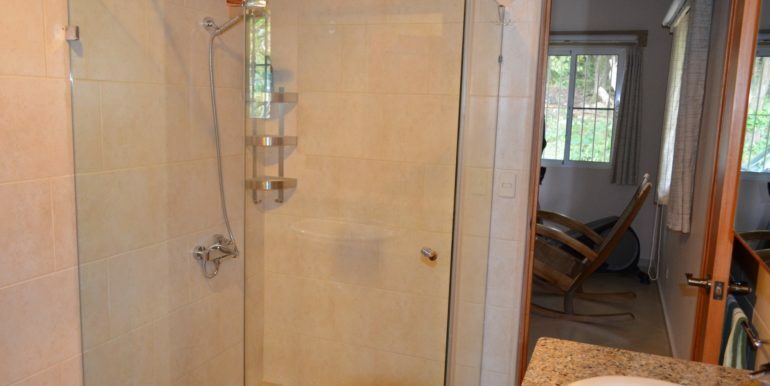 Following the same home design, the bathrooms are built with good quality and light tones. 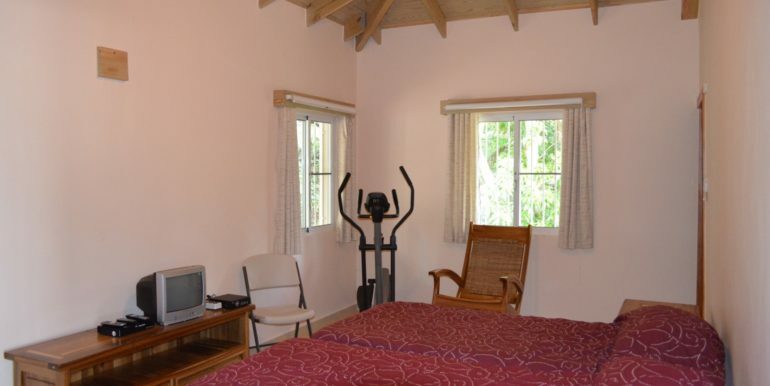 A laundry room in the back accommodates the machines and cleaning tools. 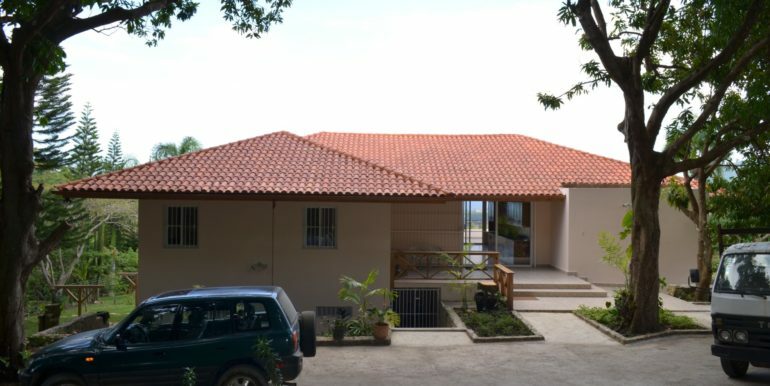 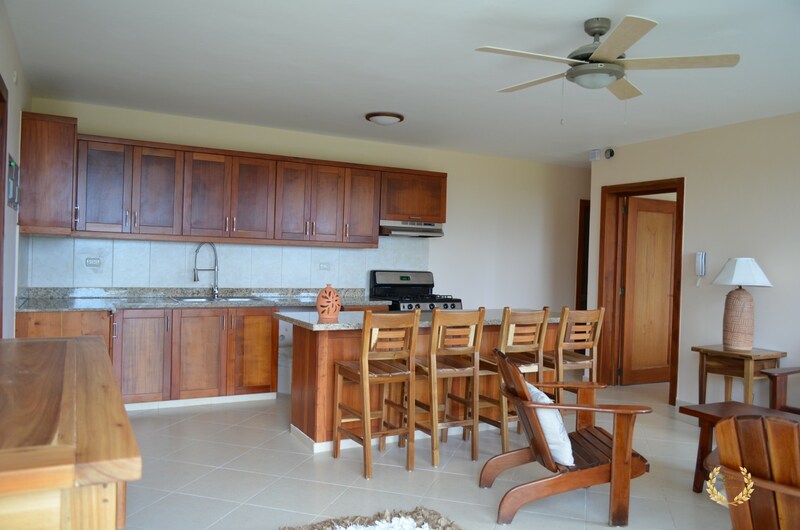 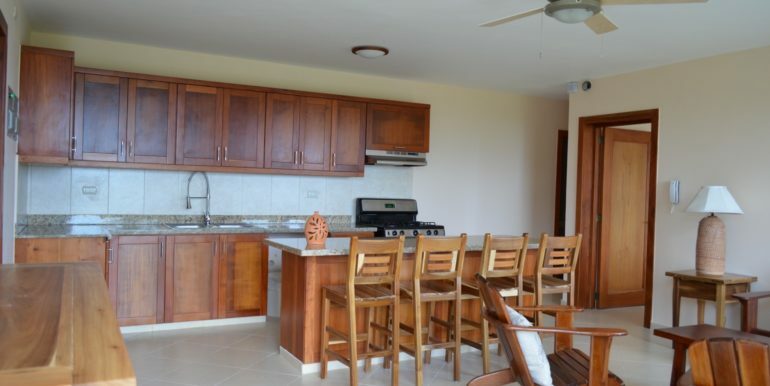 This house is the second built on a gated community of 15 lots, with 24hr security, water, 110/220V power, cable TV, Internet and gardeners. 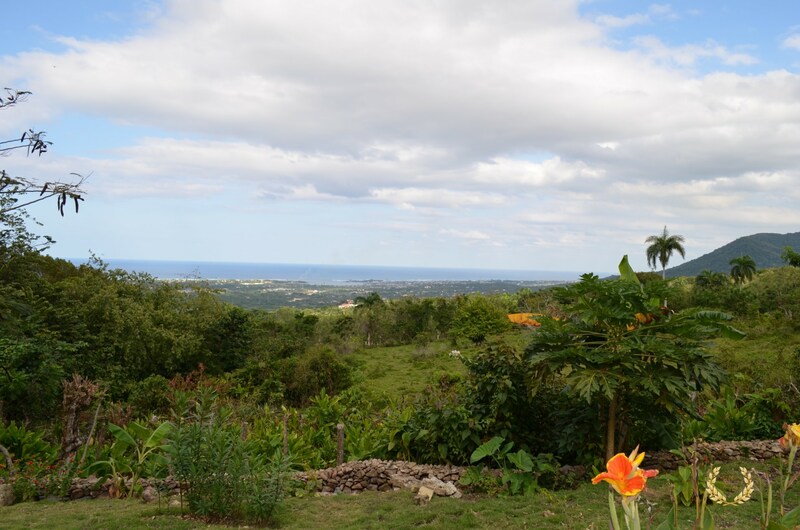 A natural water spring coming down from the mountain feeds the large reservoir, and mature fruit trees are found including cacao, coconut, mango, avocados and more. 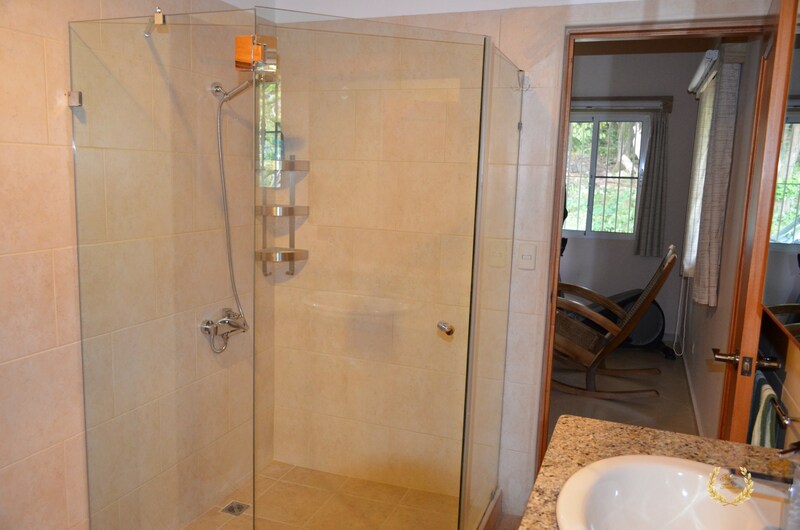 Plenty of room is left to build a swimming pool customized to its new owner, call us for more details. 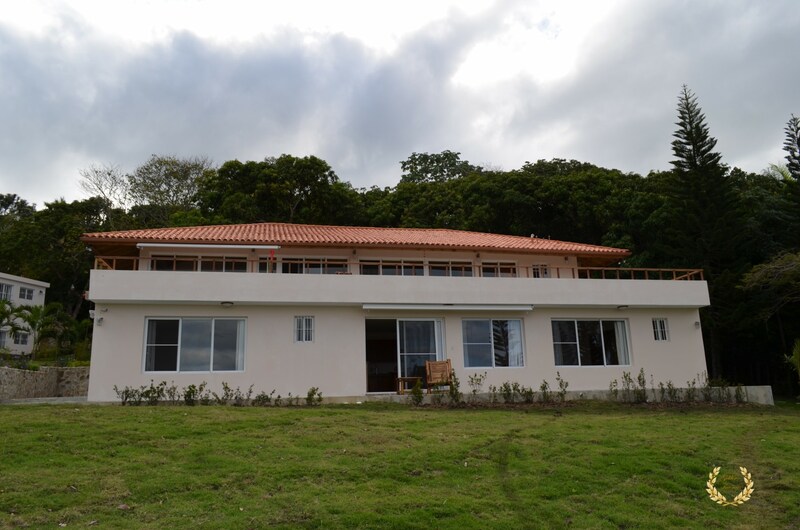 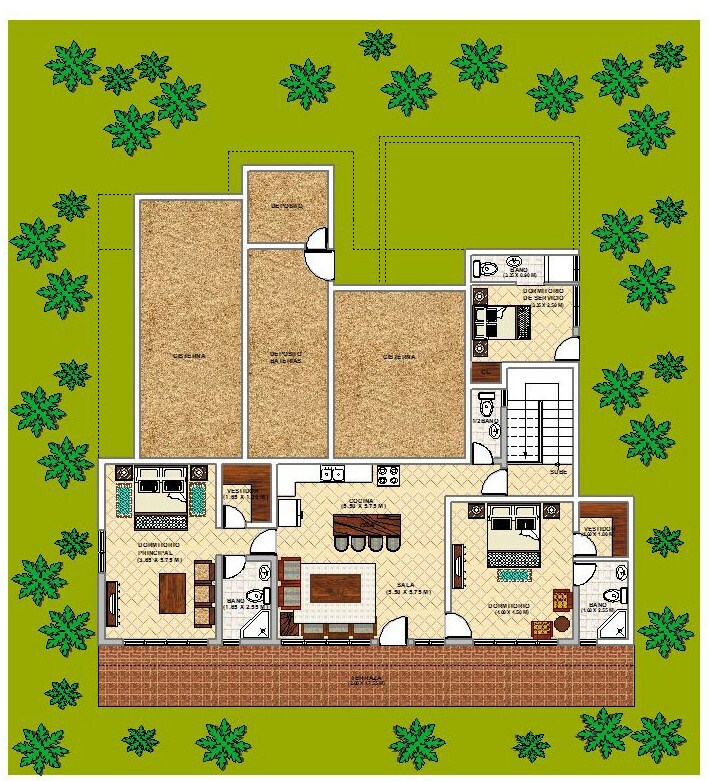 The land size is 30,300 Sq Ft (2,815 m2 ) and the house size 3,304 Sq Ft ( 307 m2 ).